Stories about three Kajaani University of Applied Sciences students' exchange in Singapore in 2015. 4th of July we wanted to do a "Anthony Bourdain" trip. 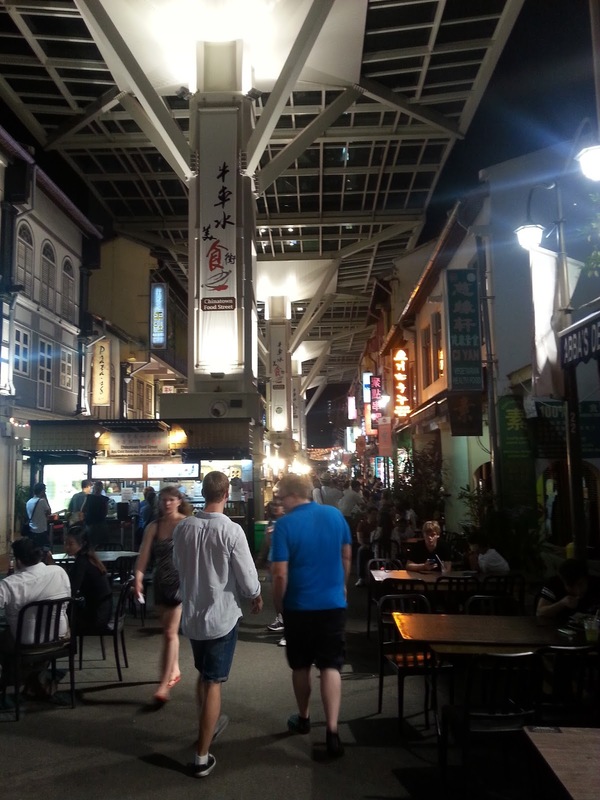 The idea was to visit some the places Anthony visited in his show the Layover during the Singapore episode. The places we picked were: Tiong Bahru Market, Tanglin Halt Hawker Center, Chin Chin Eating House, Bismillah Biryani and Samy's Curry. We looked up the places from map and planned out a perfect route for our eat-a-thon. When we arrived at the first place on our list, we found a huge hole in our plan: We didn't look up the opening hours of the places we were going to visit. Some food courts close quite early, especially on weekends. So, if you want to visit some particular booth, go there early in the morning or afternoon. The first place we ate at was Samy's Curry House. Anthony recommended curry fish head there, so we ordered that. The dinner was served on banana leaves and the main dish was served from a big clay pot. The food was delicious and the whole experience was memorable. Because we didn't look up the opening hours (and food courts don't show opening hours for individual booths), we didn't have the change to visit the other places in our list. Still, the trip was successful, as the food we ate was great and we had the change to saw the city more. 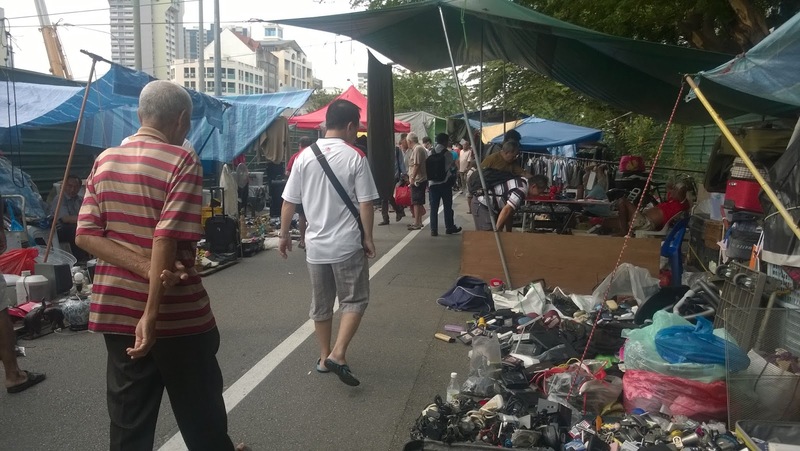 11th of July we went to Sungei Road Thieves Market, which is the last big open air flea market in Singapore. It is popular among tourists and locals alike. The market has been there since the 1930s. The selection was wide, you can find everything from vinyl records, medals presenting Chinese leader, hand made Terminator figures made of scrap metal to vintage cameras and watches. The place can be hard to find, as there are construction sites at the area. The market is going to close in 2017. So don't wait for long if you want to visit there. You can find interesting gifts from there so it is worth to go to the Thieves market and have a look at the wares. Santeri and Janne bought Singaporean army jackets, which cost only S$10 a piece. 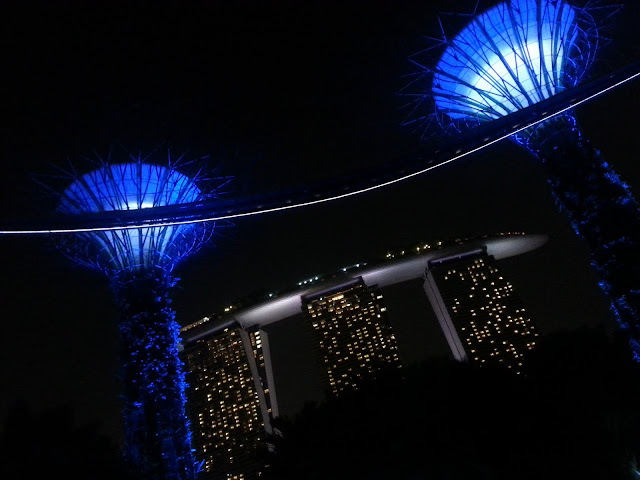 On 3rd of July we decided to visit Gardens at the bay, which is a park consisting of three water front gardens: Bay South Garden, Bay East Garden and Bay Central. It was easy to get there with MRT as a station is near Marina South Pier at the end of North South line. Although afterwards we realized that Bayfront station would've been closer choice. The station that we stopped was right at the seashore and as it was dark we could only see the lights coming from boats and ships. The pier wasn't surrounded by anything interesting. We spot couple of construction sites and you could see the city skyline beyond the sites. It didn't take us long to reach the Gardens. We are not sure which entrance we took in but the park guard showed us the way to Supertree Grove. We'd advice to visit the park at least twice, during both the day and night time. Because at night you can't see the plants and the garden ornaments but you can enjoy the lights, city skyline and the lighted Supertree Grove. After having a little break at the foot of a Supertree we headed through Marina Bay Sands hotel to get to the water front. The views were spectacular and again can't be described by words. We walked around the river and at the end of the evening we relaxed at the shore and saw a light show. Here are the pictures of the night. 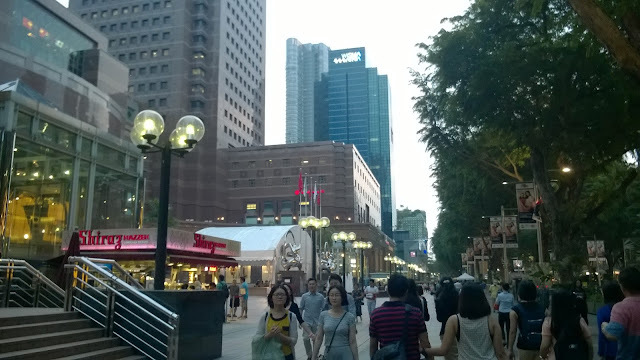 On Sunday 28th, we (Janne and Santeri) decided to visit Orchard Road, a huge shopping street. The first thing that draw our attention was the large crowd of people. Even thought we've stayed here in a big city for a quite a while now, this was the first time we felt suffocated by the number of people in the same area. The street had narrow side walks filled with both locals and tourists. We heard that there was a video game store that sells retro games and we tried to locate the shop as soon as possible so we wouldn't have to stay in the crowd. We found the place and it turned out not to be a store that sells retro games. After leaving the game shop we stumbled into a tailor shop which sign said "Tervetuloa suomalaiset asiakkaat" ("Welcome Finnish customers" in English). The owner had had Finnish customers and spoke few words of our beloved mother tongue. 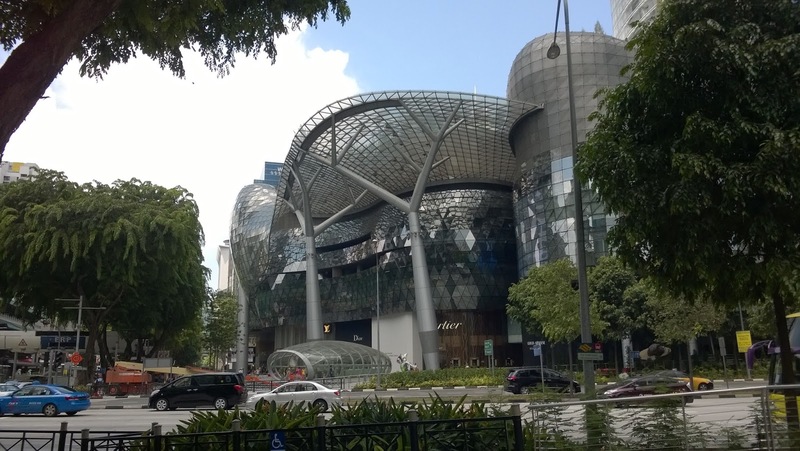 The Orchard road and it's neighbouring area have a lot of malls, many right next to each other. It's easy to get by the underground tunnels that connect the malls. Afterwards we visited Orchard road again to visit Kinokuniya a huge book store (This time Eero came along as well). 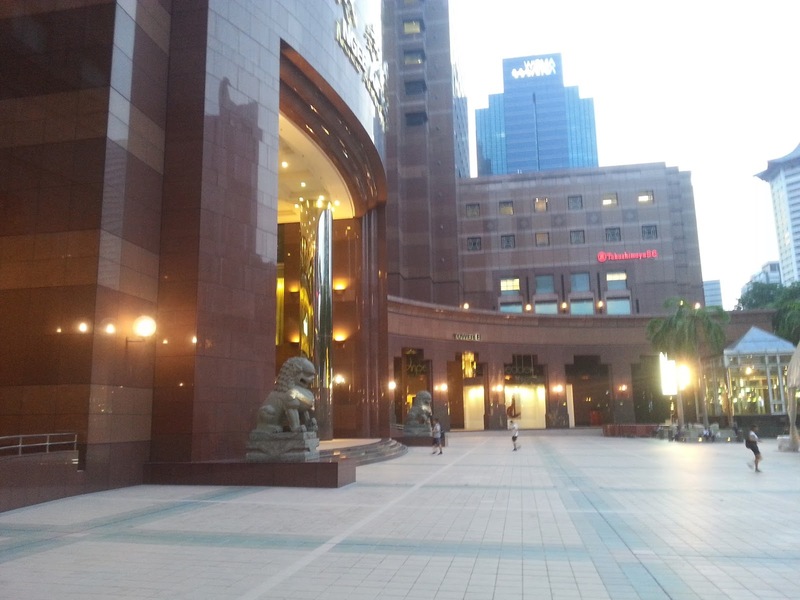 Kinokuniya is located in the Ngee Ann City shopping centre. It was a pleasant surprise to find a large comic book section at the book store. Janne two science-fiction books: Perdido Street Station by China Miéville and Sand by Hugh Howey and a graphic novel Maus by Art Spiegelman. Eero picked up two books as well, both graphic novels: Watchmen by Alan Moore and Dave Gibbons as well as Batman: Year One by Frank Miller and David Mazzucchelli. Because the store had such a large selection, we consider visiting Kinokuniya one more time before our departure back to Finland. On Friday 26th June we went to the Chinatown again. When we arrived there we ate first. We read about the most famous food courts in Singapore and visited one in Chinatown. After eating we walked around the place and it was much more lively in the evening. The streets were full of people and filled with lights. The part we saw was filled with temples, restaurants, bars and small shops. After a while of circling around we decided to grab a beer or two before heading home. While we looked for a place have our pints, by coincidence we ended up in a karaoke bar. It was a lot smaller place inside than we expected. It was funny to see that the local karaoke culture was similar to what we're used to in Finland. Old drunken people sang loudly and the audio quality was rubbish. We found the whole situation rather hilarious. In all we had an enjoyable evening. We went to CharaExpo 2015 on Saturday 20th June. CharaExpo is an event about Japanese anime, manga, games, card games and cosplay. This was the first time the event was held. We didn't know much of the brands there, because we don't watch anime. Still, it was an interesting experience. We started by wandering around the booths. If you were an anime fan, you would get much more out of it. Then we saw that there would held New Japan Pro Wrestling event later. We thought that it could be interesting so we bought tickets. There were a lot of people wearing costumes presenting characters from different Japanese series. It showed that they put an effort in their costumes. Later the pro-wrestling match started. First there were Singaporean wrestling show, which warm up for the main event. The Japanese pro-wrestling show had three matches, 1vs1, 3vs3 and the final match was 2vs2. The audience was really into the show, which made it a better experience. In the end it was everything you could expect from a pro-wrestling show: imposing stunts and ridiculous costumes.